There are some days I can’t wait to get outside and start smoking! 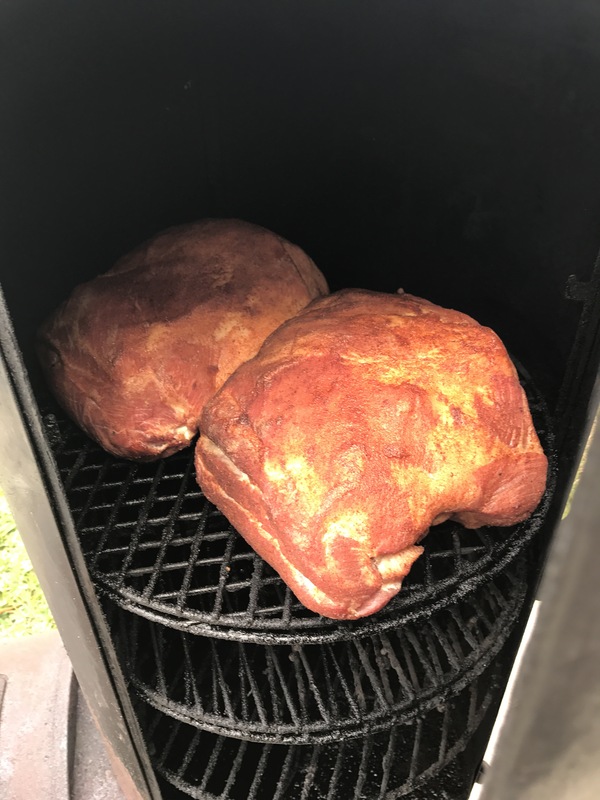 Today, I thought I’d change things up a bit and bring back some big, juicy pork butts! These beautifully trimmed, bone in butts are approx 8 lbs each and have beautiful marbling on the opposite side of the fat flap. The boys decided on a sweet and salty rub today…no cider/brown sugar injection. 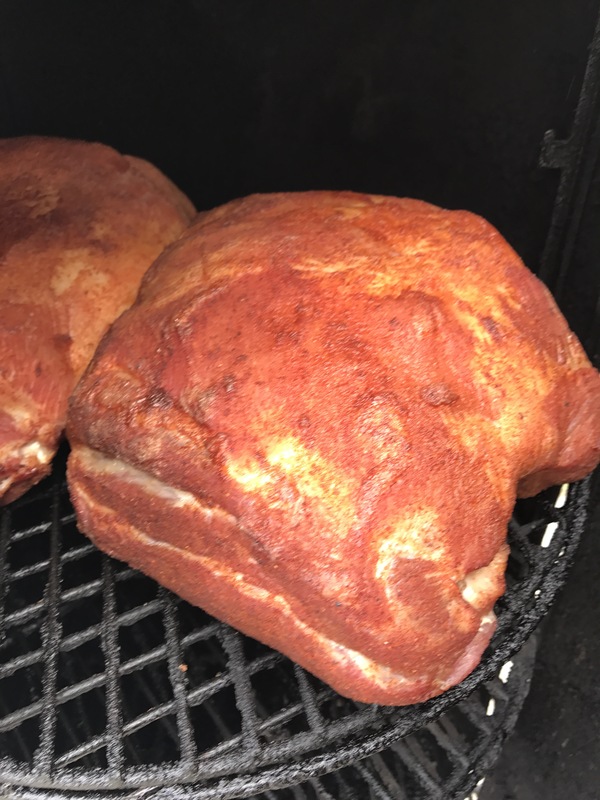 We are slapping those butts with a mix of pecan and mesquite smoke at a temp of 225/250 until it’s time to flip. The secret ingredient has been added to the fire to ensure a signature smoke. There is a nice breeze blowing across the pit area today. Just means we’ll have to keep a longer eye on the logs so they don’t coal out to fast. In about three hours from cook off, we willopen that baby up and see what we’ve started!!!! Next Halftime…..The Butts are in the lead!